Our new office in the Fall will be located in 130 Intramural Building. Our new phone number will be (814) 865-4136. We will be closed from 8/9-8/18 – if you need to speak to our staff please call and make an appointment. More info to come! With over 200 guests in attendance, this year’s version of the Honors Reception was a hit! We gathered in Alumni Hall in the HUB to recognize the hard work and achievement of the 77-student formed and student-run club sport organizations. This year our program offered support to a total of 6,583 students, faculty, and staff participating in club sport organizations, a record by over 650! Clubs hosted over 300 events on and around campus this year, ventured on over 400 trips which equaled over 126,900 miles, and sent teams and/or individuals to 32 national championship competitions. Once again, Penn State Club Sports is the largest club sport program in the United States. Since last year’s Honors Reception, club sport organizations have captured a record 8 team national championships! Individually, Penn State Club Sports saw numerous individuals win national titles this year including Taylor Varner (Boxing), Dan Wilcko (Cross Country), Mike Meehan (Triathlon), Cassandra Lageman (Track & Field), Devin McDuffie (Track & Field), John Lacy (Track & Field), Kati Piger (Track & Field), Marley O’Brien (Track & Field), Rachel Pitman (Track & Field), and Vanessa Romulus (Track & Field). Aside from competitive success, Club Sport organizations once again showed their commitment to the Penn State and State College communities by engaging in numerous service initiatives, such as Relay for Life, Miles for Smiles, National Eating Disorders Awareness Walk, Lions Pantry, and the annual “Mr. & Mrs. Club Sports” pageant to name a few. The biggest fundraising endeavor was for Penn State Dance Marathon (THON) where club sport organizations combined to raise over $375,000. Diverse arrays of awards were collected over the course of the night. With many awards handed out within each category, the categories were as follows: Athletic Excellence, Organizational Excellence, Individual & Officer Awards, as well as Club of the Year to cap off the presentation. The 2016-2017 Female Athlete of the Year recipient was Taylor Varner from Boxing. Taylor is a 3-time NCBA Eastern Regional Champ, 3-time All-American, 2017 National Champion in the 147 pound class, and has won the NCBA sportsmanship award for the past two years. She is also the club president! Our 2016-2017 Male Athlete of the Year recipient was Paul Schoenberg from Wrestling. Paul had top place finishes in three tournaments this ear and became an All-American after placing 6th at nationals. Paul led the team to place 3rd at nationals and has the most recorded wins in a season in club history with 28! He is also club president. Finally, we were proud to award the Penn State Figure Skating Club with the Club of the Year Award. Figure Skating has tripled their membership over the last two years to 12 skaters from 3 skaters. They raised $8,000 for THON, had two dancers participate in THON, and volunteered at local skating clubs teaching young students how to figure skate and be role models in their communities. Competitively the club did better than ever before as they broke top 5 at their second sectional for the first time ever and ultimately finished 6th out of 32 schools in the Eastern Division. They had many individuals do extremely well as they had 6 first place finishers and 6 second place finishers at their competitions at MIT, Liberty, and University of Delaware. They have set some high goals for themselves, they hope to score 100 points next season, have a 20 member competitive team in 2 years, and an increased community presence spanning the next 5 years. 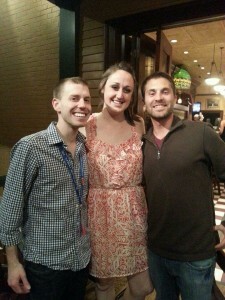 PSU Club Sports Staff Alums: Where Are They Now? The Penn State Club Sports Program is proud to announce some big career news amongst our staff alums. In the past four months, four former interns/professionals have accepted new professional positions within the campus recreation field while two student interns from the 2013-14 staff will begin graduate assistantships in August. 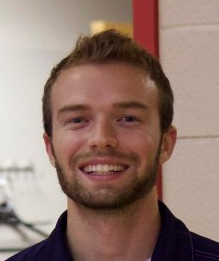 Tyler Spencer, who served as an intern with our program in 2008-2009, is now the Associate Director of Campus Recreation and Wellness at Western Carolina University. 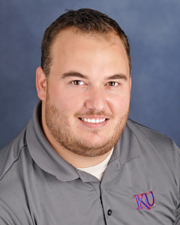 Previously Tyler was the Sport Clubs Coordinator at the University of Kansas. After his work at Penn State, Tyler spent two years as a graduate assistant at the University of South Florida. He is originally from Bowling Green, KY and is a 2009 graduate of Western Kentucky University. Drew D’Elia got his start in recreation as an undergraduate intern with Penn State Club Sports in 2011-2012. Following graduation Drew accepted a graduate assistantship position at the University of Central Florida within their Sport Clubs Program where he also received his masters this past spring. Last month Drew accepted the position of Assistant Director of Sport Clubs and Youth Programs at Rowan University in New Jersey. 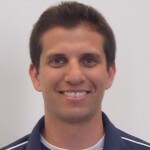 Drew hails from Hatfield, PA.
Nick Petrone, a 2011 Penn State graduate and a student staff member during the 2010-2011 academic year, returned to his roots recently as the Assistant Facility Coordinator of the Intramural Building at Penn State. 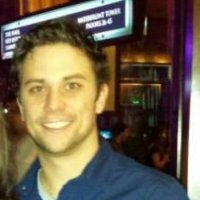 Nick previously worked with facility and events management at Villanova University before completing his masters in sports administration at East Stroudsburg University where he also served as a GA for two years. Jimmy Woods-Corwin spent the past year as the Assistant Coordinator within the Club Sports Program but leaves us this month to become the Sports Clubs and Intramural Coordinator at Rutgers University. Prior to Penn State, Jimmy worked with various community recreation organizations in Seattle, New York, and Boston before entering the collegiate recreation world as a Nittany Lion. During his time here, Jimmy also worked with the Aquatics Program and game management operations for Mens and Womens Ice Hockey. Jimmy is a 2007 graduate of Skidmore College and received his masters in sports administration from Old Dominion University. Andrew Funari is a 2013 graduate of Penn State and worked with the Club Sports Program as both an undergraduate intern and a post-grad intern. Andrew will take his recreation knowledge and talent to Tallahassee, FL where he will serve as the Competitive Sports and Facilities Graduate Assistant at Florida State University and pursue a master’s degree in sports management. Tori Lord is a 2014 PSU grad who spent the past year as an undergraduate intern with Club Sports while also working for the PSU Fitnes s Program. Tori has accepted the position of Sport Clubs Graduate Assistant at Texas A&M University in College Station, TX. She will be enrolled in the sports management master’s program at TAMU as well. 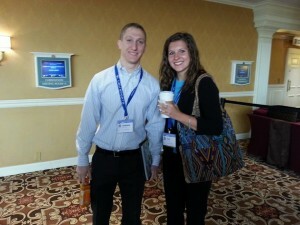 Former interns Laura Thomas (2010-2011) and Ryan Groth (2009-2010) have both been in their positions for just over a year now. Laura is currently serving as the Assistant Director of Sport Clubs & Intramural Events at Texas Tech University while Ryan is the Coordinator of Club Sports at California State University San Marcos. After interning with Penn State Club Sports, Laura (a Texas State University graduate) completed her masters and a graduate assistantship at Ohio University. During her time at OU, Laura also served one year as the National Intramural-Recreational Sports Association (NIRSA) National Student Leader. Ryan spent a year at Penn State between undergrad and grad school. A Sonoma State State University graduate, Ryan completed his masters at Saint Mary’s College (CA) and his GA work at UC Berkeley before taking a position at the University of San Diego prior to his role at Cal State San Marcos.